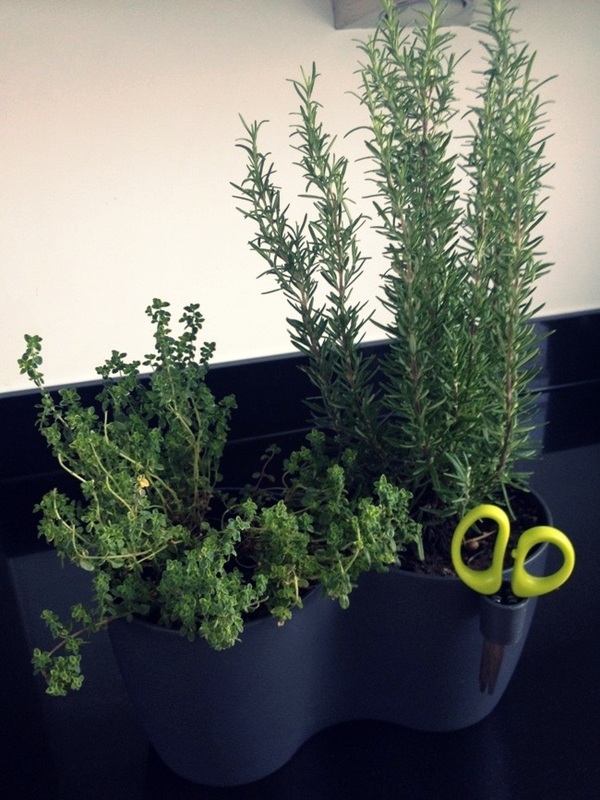 As I told you before here, I was very much interested in having a little garden in our own kitchen for the most essential herbs (and Joe also insisted on a chilli plant). 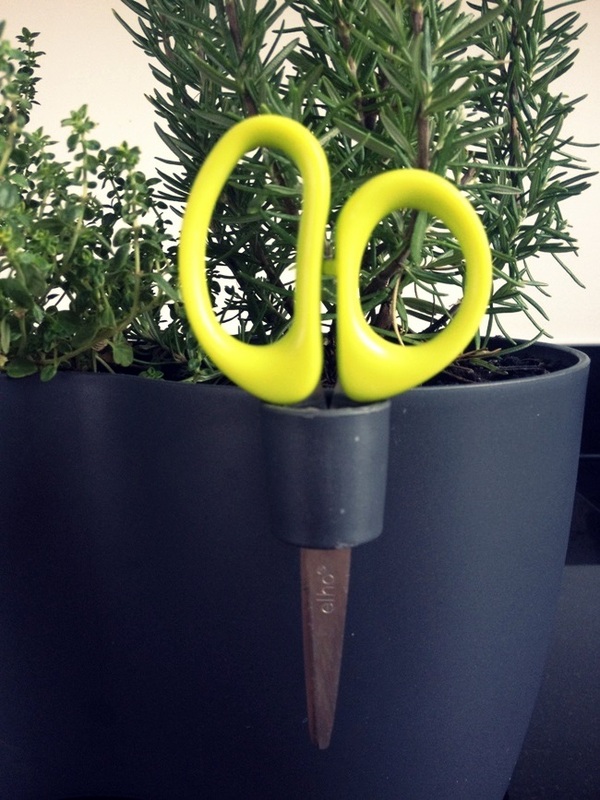 I discovered Dutch designer Bas van der Veer a little while ago and particularly his Brussels Herbs collection seemed amazingly convenient and stylish for an urban kitchen garden. 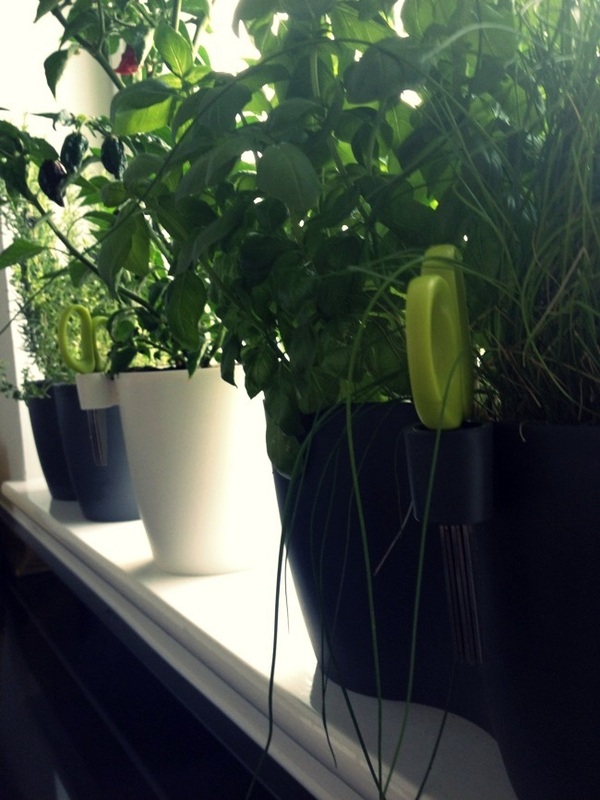 Just a few months after discovering these designs, we now have them in our kitchen and from the first excited snapshot above (taken in early August) to the ones below (taken this morning) our herbs have grown massively; particularly the basil has become three times as tall and twice as wide. They clearly seem to like it very much. Bas van der Veer's very affordable designs are available through Elho who sell their products (among others) on Amazon (see links under first photo). So cute! 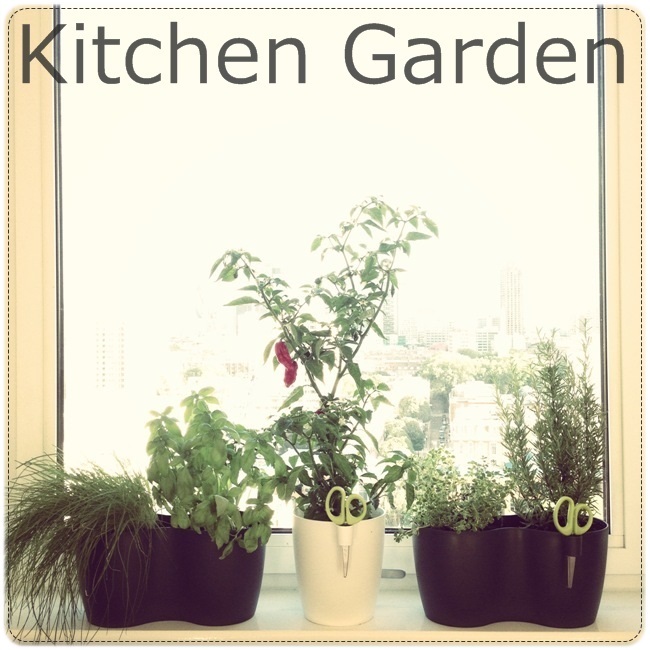 I love herb gardens, specially the urban kind like this, that is easy to grown in a small apartment. I only have a couple of herbs right now, but I'm planning on keep adding more, it's just so convenient, and they look pretty!